The D7500 is Nikon’s latest enthusiast level DSLR. It features the same 20.9 megapixel APS-C sized sensor as found in the top-of-the-line D500, making it a good alternative for those who are tempted by the more expensive camera but don’t quite have the budget available. Along with the sensor, there’s also an EXPEED 5 processor, a 51-point AF system, 8fps continuous shooting, a tilting touch-sensitive screen and the ability to record 4K video. 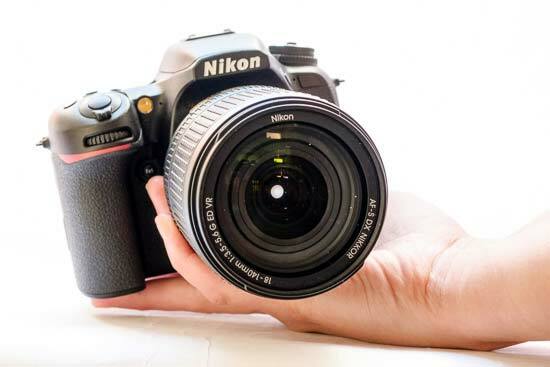 Just like most of Nikon’s other cameras, the D7500 is compatible with Snapbridge - the company’s bluetooth connectivity option which automatically transfers your photos across to your smartphone or tablet. 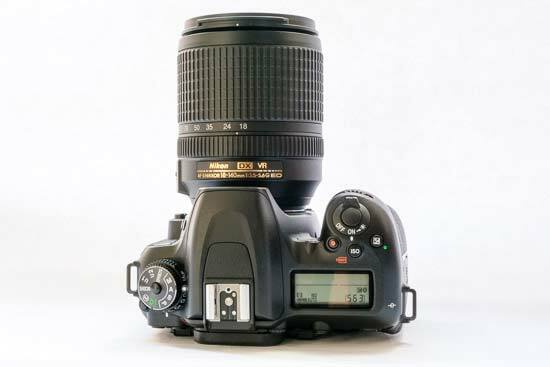 Other features include an optical viewfinder, single SD card slot and a maximum shutter speed setting of 1/8000. The Nikon D7500 retails for £1299 / $1249. The size and weight of the Nikon D7500 has been reduced a little when compared with the D7200, but it’s still a comfortably chunky camera. It feels well-built in the hand, with a textured coating covering the front and rear grips. In short, this is a solidly built piece of kit with a good deal of buttons and dials available. On the left hand side of the Nikon D7500 ’s top plate, you’ll find the mode dial. You can use this to switch between manual and semiautomatic modes, as well as choosing between automatic, scene, and effects modes. There’s also space here for two user defined groups of settings, which can be particularly useful if you often find yourself shooting one particular kind of subject - for example low light. There is a lock button in the middle of the dial, which prevents you from accidentally changing the exposure mode when the D7500 is in a bag. Underneath the mode dial is a smaller dial for changing the drive mode. You must press a small button down in order to twist the dial, again preventing you from making accidental unwanted changes. From this dial you can choose single shot, continuous (low), continuous (high), quiet modes, timer mode and mirror lock-up. It’s a little fiddly to use, but luckily it’s probably not something you’ll want to be changing all too often. Heading over to the right hand side of the top plate and there’s an LCD screen which displays some key shooting settings, such as aperture and ISO. You can illuminate this screen by pushing the on/off switch one step further from the “on” position. There’s also a dedicated movie record button, an ISO button and an exposure compensation button. For the ISO and exposure compensation button, you need to use them in conjunction with tie dials which are found on the front and rear of the grip. These dials also have other functions, depending on the shooting mode you’re in. So, for example, in manual mode, the rear dial alters shutter speed, while the front dial changes aperture. On the back of the Nikon D7500 , there’s a row of buttons found on the left hand side of the screen. These include the menu button, and as such aren’t buttons you’ll be using especially frequently. There’s also a playback and delete button on the left hand side, meaning you’ll need to grip the camera with two hands to use it effectively in play back. Over on the right hand side of the Nikon D7500 , you’ll find buttons which you’re more likely to want frequent access to. For example, there’s a navigational pad which you can use to alter the AF point, the AE-L/AF-L button and a Live View button, which has a switch around it to enable switching between stills and video shooting. An “i” button is designed to give you quick access to a few key settings, but the options contained within the sub menu are a little odd - and there’s no way to change which settings appear here. 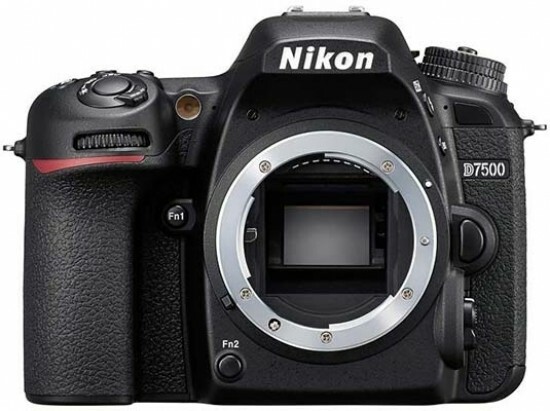 There are also a few key buttons on the front of the Nikon D7500 . There are two function buttons - one found next to the lens mount, and another on the inside of the grip. These are customisable to various functions which can be assigned via the main menu. Just below the flash is a button which you need to press to release the flash from its housing, while there’s also a button for AE and flash bracketing. Just underneath the lens release button is a switch and button combination. Use the switch to change between autofocus and manual focus, and use the button to choose between different AF modes, such as Group AF which has been newly added to the D7500. The D7500’s screen is tilting, but not fully articulated. You can tilt it to 90 degrees upwards, as well as face it downwards. That makes it useful for many awkward angles, but is not helpful for portrait format orientation, or if you want to face the screen to face forward. The screen is touch-sensitive, and you can use it for a variety of functions, including swiping through images and videos in playback. You can also change the AF point and fire off the shutter release when shooting in Live View by a simple tap of the screen. Those who like optical viewfinders should be very pleased with the Nikon D7500’s offering. It is bright and clear, and unlike some other enthusiast cameras on the market, it offers a 100% view of the scene - that means everything you see in the viewfinder will be recorded by the sensor. One of the big changes from the D7200 is that there is now just one SD card slot. Perhaps this was done to facilitate a smaller and lighter body, but those who like to have a second card for a backup will surely be disappointed. Further bad news is that the card slot is only compatible with slower UHS-I cards - this seems like a bit of a backwards step considering the camera is aimed at relatively advanced enthusiasts. 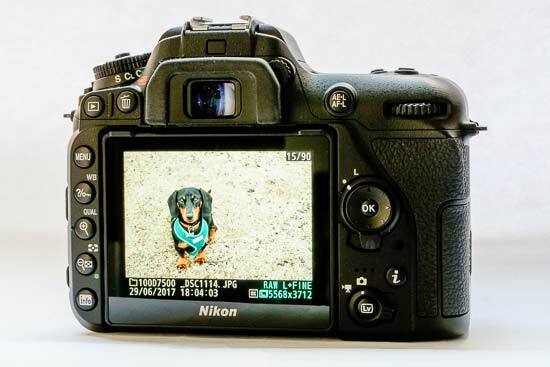 Another new feature for the Nikon D7500 is that it is now compatible with Nikon’s Snapbridge technology. This is designed to utilise an always-on low-power Bluetooth connection which automatically transfers your images to your smartphone ready for sharing your images on social media and the like. In theory it’s a fantastic idea, but in reality it can be a little unpredictable. When it works, it’s great - but at times the camera may refuse to connect to your phone, it may not always automatically transfer your images and occasionally it can get stuck. You can set the camera to automatically transfer every single image you take - that’s something you may want to switch off if you’re shooting at fast frame rates and don’t want to fill up your phone too quickly. That said, you can also opt to have the automatic transfer capped at 2 megapixels per photo to save space. 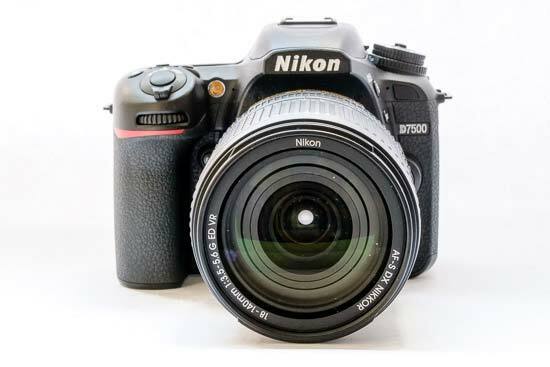 Nikon has equipped the D7500 with its latest EXPEED 5 image processor. That makes it fast to use, and also facilitates a reasonably fast 8fps frame rate. That’s just about enough to track a relatively predictably moving subject, and should therefore suit the needs of most enthusiast photographers. Full AF / AE tracking is also available, so you can get some sharp action shots. When it comes to focusing speeds, the v manages to lock onto the subject very quickly and easily with relatively little back and forth movement when the subject is clear and in good light. If you’re shooting something a little fussier, or in low light, the D7500 can occasionally struggle to lock on instantly, but it generally gets there in the end. It’s relatively rare for a false confirmation of focus to be displayed.